The HYDRIS Engineering team stands at your service. We provide correct installation, adjustment and start-up of your water treatment facility. In addition to custom design and proper installation, our secret lies primarily in accurate monitoring and regular maintenance of your equipment. HYDRIS Engineering maintains your installations in optimal condition. 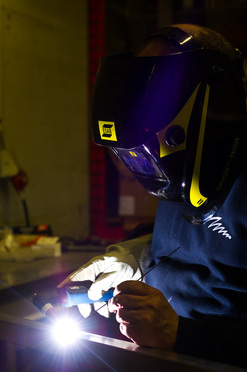 You can rely upon thorough process knowledge, technical expertise and professional servicing. 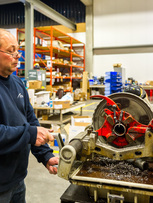 HYDRIS Engineering follows a strict maintenance schedule and keeps your critical spare parts in stock. This way you will not suffer any loss of production or incur unnecessary costs. Our watertight service program limits the risks of poorly functioning processes, minor glitches or technical failures. If problems still arise, then you have access to our flexible after sales service.